You should consider getting Shader Forge, it is much easier to make shaders in there compared to writing them. Spending $90 vs. Learning something new for free and doing it by myself. Not as fun! 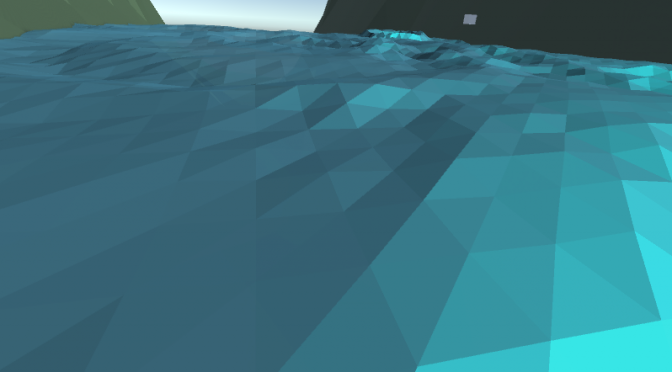 Your water shaders look pretty awesome! I’m trying to test them out myself but not having much luck. Could you give a brief overview of how to make use of the shaders? I tried using it on a plane which gives me some sort of flat wavey effect with two colours which doesn’t look anywhere near like what you have in your video, I’m guessing i’m missing some important steps. Hi, luke! The shader is kind of lacking in features and I guess it’s kind of depending on several thing’s to be “correct”.. the wave generator is a mess and you have to tweak the numbers on your material to get the right look. And I think the plane you use for the water needs to be rotated in the right way in it’s original form to wave on the right axis! I should try to create a unitypackage with a ready built scene or something for you.